Manchester United manager Jose Mourinho has warned that closing the transfer window early could create an element of risk for a number of Premier League sides. This week, top-flight clubs voted in favour of the decision to close the pre-season window at 17:00 local time on the Thursday before the 2018-19 campaign starts. Mourinho supports teams being forced to conclude business in the market before matches get under way but United were surprisingly one of five clubs to vote against the changes. The 54-year-old understands the decision of the Old Trafford board, though, admitting that certain sides are at risk of being unable to replace players who move to foreign clubs after the English deadline has passed. “My thoughts are from a coach point of view,” he said on Friday. “Obviously I am in favour of that [early closure] because if I focus just on the training process, of course I want to have my squad and work with them and travel with them on pre-season, I don’t want to be waiting on late decisions. “That’s the perspective of the coach. There is another perspective, where I can also include myself. I have to share the problems that the board has. It’s obvious that, when the decision is not uniform around Europe, obviously we are opening an element of disadvantage for English clubs, and that’s the reason why Manchester United voted against. “They can come to the English clubs and buy players and leave them without the possibility of a quick response. It’s an element of weakness. “I expect my club to be strong and powerful enough so that, when we close our doors, we close the market for buying and selling. I expect my club to act in that way. But there are other English clubs who will be at risk. 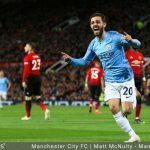 Manchester City were one of the other sides to vote against the proposal, along with Swansea City, Watford and Crystal Palace, while Burnley abstained. Boss Pep Guardiola, like Mourinho, has been in favour of the idea but he insists City as a whole are happy with the outcome of the vote. “In my time here, I know how the country thinks about tradition,” he said. “From one side, to move something part of history is difficult but on the other side you are the first one to make an initiative to change something. It’s complicated.